Organic farming has a very great potential in the world. According to experts, Kazakhstan can become one of the large-scale countries-producers of organic products in Central Asia. Nevertheless, the uncertainty of Kazakh agrarians in high revenues, as well as the deficit of knowledge and experience in the production and sales of organic grains and oilseeds, became the major limiting factors in development of the industry segment. 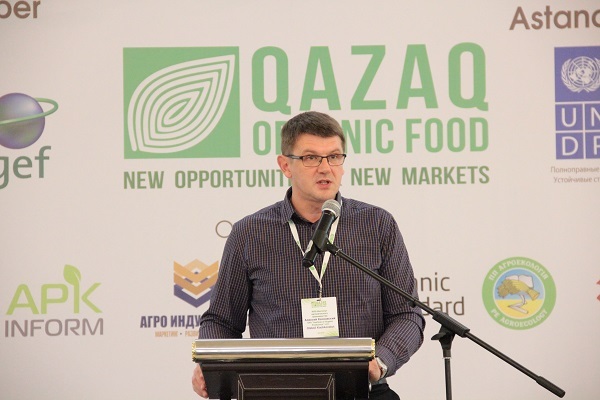 Therefore, APK-Inform Agency in cooperation with AgroIndustria KZ, Organic Standard Ltd, and Agroecology PE, organized the first international conference in Kazakhstan "Qazaq Organic Food: new opportunities & new markets", which was held on November 29 in Astana (Kazakhstan). More than 100 delegates from 12 countries visited the event. In particular, skilled companies-producers and exporters of organic products from Kazakhstan, Ukraine and Russia visited the conference to share their experiences and establish new partnership relations, as well as the large-scale importers from Germany (Imarti Naturkost, Saatenberg Handels & Consulting), Switzerland (Field Farms Marketing), the Netherlands (ED Organics), China (Yihai Kerry, International Trading Co., Ltd.), the Czech Republic (AGRIWELL), Poland (VELES AGRO LTD), and other countries. One of the major German companies-importers of organic products — IMARTI Naturkost GmbH&Co.KG, became the Sponsor of the event. The company focuses on the production and selling of agricultural products, as well as processes the products at its own enterprises. IMARTI sells all types of ecologically friendly agricultural products, and covers the market of the EU, Eastern Europe, Central Asia and the USA. The main topics of the conference covered the requirements to the production of organic agricultural products; certification of organic goods production; moving from the intensive to organic farming; major machinery for the tillage weed control; organic project for the Kazakh market; organic trading and exports, etc. The Executive Secretary of the Ministry of Agriculture of Kazakhstan, Asylzhan Mamytbekov made the welcoming speech at the official opening of the conference. He noted that the active involvement of various international certification bodies plays the important role in development of organic crops production in Kazakhstan. Therefore, the Ministry of Agriculture and Organic Standard Ltd reached the agreement on foundation of the representative office of the company in the territory of Kazakhstan, which can lead to reduction of the costs of provided certification services. Passage of the law in 2015 on the production of organic products on the basis of the regulations of the European Union, as well as the international standards Codex Alimentarius and the International Federation of Organic Agriculture Movements (IFOAM), became the first step in the development of organic production in the country. For the further development of organic production, the government of Kazakhstan plans to work out the required programs, which will cover the main activities to increase the awareness of agricultural producers, personnel training and controlling of the certification processes. So, the authorities developed the umbrella brands, in particular, the organic brand "Qazaq Organic Food", he noted. 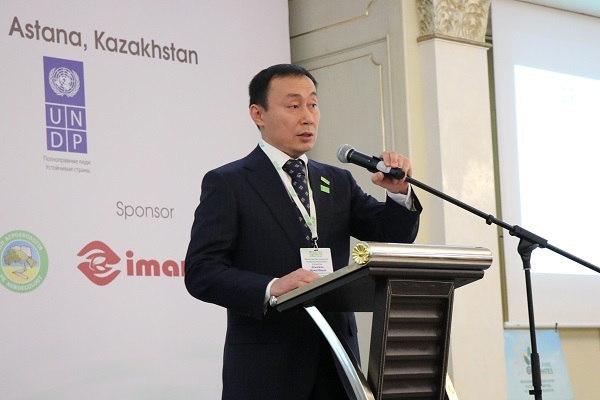 A.Mamytbekov noted that the public regulation should become harmonized with the international requirements, and form taking into account the focus on the top-priority sales markets, because the export potential of Kazakhstan is closely related to the production of environmentally friendly products. 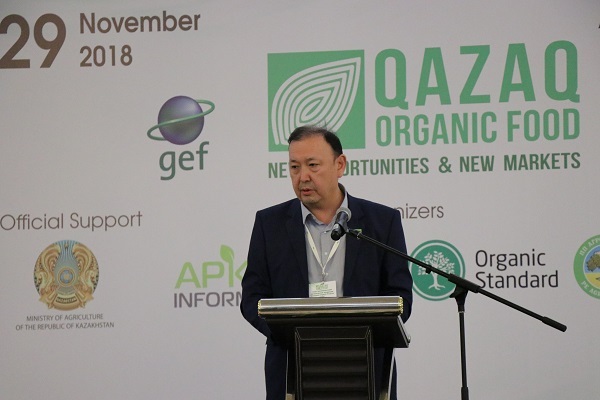 Also, the Director of the Union of organic producers "Qazaqstan Organic Producer Union", Arsen Kerimbekov reported more detailed information about the umbrella brand "Qazaq Organic Food” . The law on organic production has been in force for more than 2 years, and in 2016 the authorities decided to develop the organic umbrella brand. Despite all provided surveys, it is still not known what is the real areas of certified land and how many organic operators in the country. That is why, in the near future it is planned to make the accurate land bank and specify all operators of the organic market, he said. A.Kerimbekov stressed that the main task for Kazakh producers of organic products is not only increasing of the export potential, but also development of the domestic market of the country, which can become some kind of insurance in crisis times. According to him, the Chinese market is the most important export destination for Kazakhstan, especially for advanced processing goods with the higher cost, in addition to those 19 types of organic products which Kazakhstan already supplies on the market. The General Manager at Organic Standard Ltd., Sergiy Galashevskyy became the main speaker of the first session of the conference. He stressed that for 15 recent years the global organic market continued constantly developing, and the need for growth in the production of organic agricultural goods will continue arising. Organic producers in the EU fail to provide products for such dynamically growing market, so there is the significant need for shipments from Ukraine, Kazakhstan and other countries. To date, consumers became the prime engine for development of the organic farming. 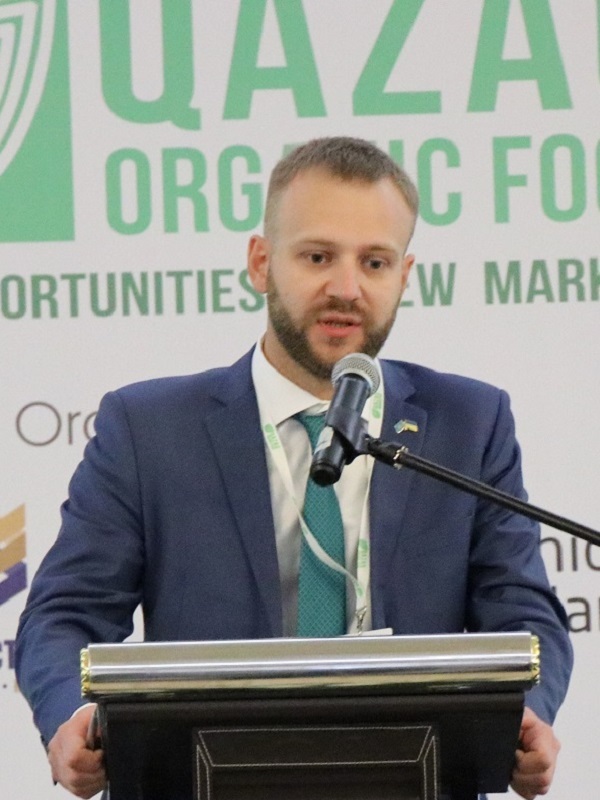 The complete product traceability from the beginning of production to the exports is the defining feature of organic production, S.Galashevskyy said. Also, the expert reported about the requirements for the production and certification of organic agricultural goods, and focused attention on the basic requirements that mark out organic agriculture from other spheres, namely providing the complete information about the products and all operations in the production. The speaker called the observance of crop rotation, without which it is impossible to receive the products that meet the standards, and presence of the transition period — the requirements, which allow the company to move to the status of organic one. Within frames of the second session, the Head of the Department of the economics of organic farming at Kazakhstan Research Institute for the Economy of the Agro-Industrial Complex and Development of Rural Territories, Vladimir Grygoruk, the Director of VIP Group LLC, Co-founder of the Scientific and Production Association “Institute of Organic Production”, Consultant on agronomic technologies and organic production, Alexey Kachkovskyy, the Chief agronomist of PE “BTU-Center”, Alexandr Rostotsky, the Director of Organic Syntez Ltd., Vitaly Logov, paid attention to the current problems of farmers conversion to organic farming, as well as using of innovative certified products and biological crop protection products in organic farming. According to A.Kachkovskyy, the soil is the living organism, which has the continuous circulation of elements and energy in the form of synthesis-destroying of organic substances of the soil. Organic farming is designed to improve the biological, physical and chemical features of the soil. At the same time, V.Grygoruk noted that in Kazakhstan nearly 50% of arable lands and 70% of pastures can be used for the production of organic goods. However, the potential is still very weak, and it is difficult to specify how much land were utilised, and how much were certified due to lack of the required calculations. 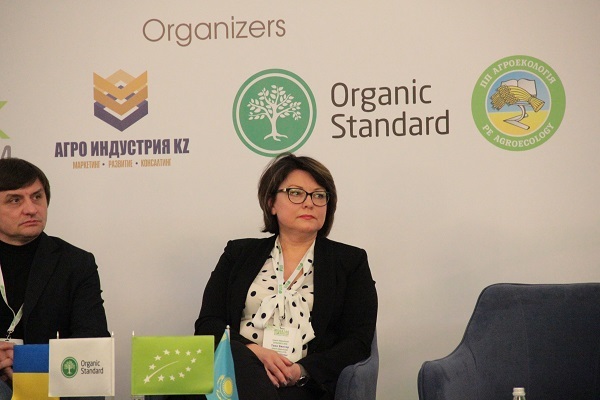 Nearly 80% of the population of Kazakhstan believes that they already consume organic products, so the demand for certified organic products on the domestic market is very small. But still there is a need to move towards organic production, due to the growth of demand on the global market, including the EU, China and the USA. 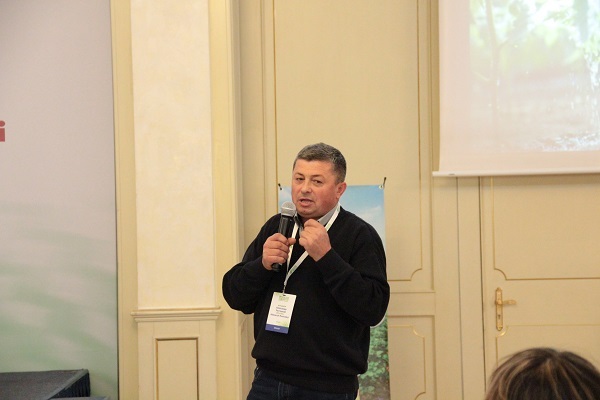 During the third session, the СЕО at the largest enterprise in Ukraine PE Agroecology, Gleb Lukyanenko and the Chief agronomist at PE Agroecology, Sergei Kozin shared the experience of one the largest Ukrainian enterprises — PE Agroecology — in the production of organic products. 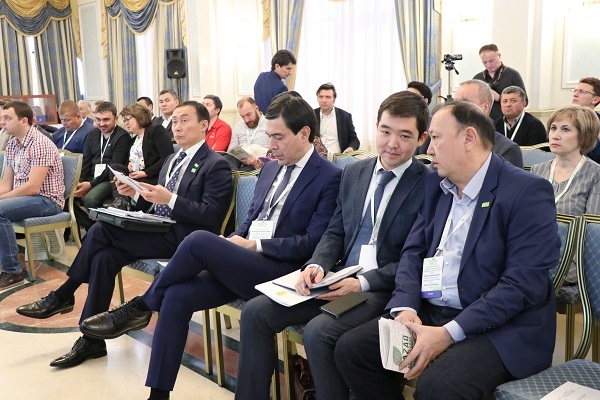 In turn, representatives of the companies-traders, who are already working on the market of Kazakhstan, reported about their interests, which can simplify the further decision-making by Kazakh agrarians in the issues how and who to sell the products. IMARTI is the fervent advocate of organic farming. The company is convinced that observance of the natural principles of agriculture, refusal of deep tillage, as well as pesticides, brings not only environmental, but also economic benefits. To date, the company IMARTI works both on the European market and markets of many other countries. It is important to note 10-year experience of active and successful work in Kazakhstan. The company`s goal is the gradual transition from the raw materials market to the production of products with high added value, said the Director of IMARTI Naturkost GmbH & Co (Germany), Tanja Winter. The conference participants managed to receive more detailed information about the experience of producers and buyers of organic grains and oilseeds, get acquainted with modern technological solutions for the organic farming, and get the best advices from the major experts on possible risks for newcoming producers.